Bushes are mainly used in the chassis of the vehicle and its uses range from absorbing vibrations to movements of car. 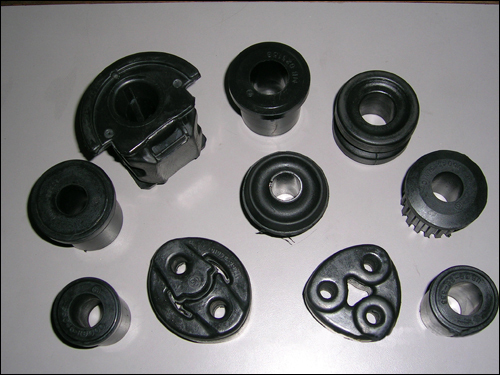 Bushes are of different applications like stabilizer, suspension, silent block, spring shackle etc. These bushes are made of rich natural rubber and they provide excellent damping effect for the vehicle. Silent block bushes are made of Mild steel or Stainless steel depending on the application and sandwiched between the inner and outer pipe is natural rubber compound designed specially to withstand high pressures.